This is the moment when country cottages — roses blooming bountifully around front doors, bees buzzing, birds singing — are looking their absolute best. Wouldn’t we all like to be in the garden of one on this broiling week? Tourists with some cash in the bank understandably snap them up across the country, from the cob and thatch of the West Country to the half timbered variety of the Welsh Borders to the glowing golden stone of the Cotswolds. Little wonder, then that when Cadbury sought a feel-good image to advertise its chocolates in the Seventies, it chose a charming English cottage — Foxgloves, two miles outside Peterborough, home to Gill Laudry and her family for the past 19 years. 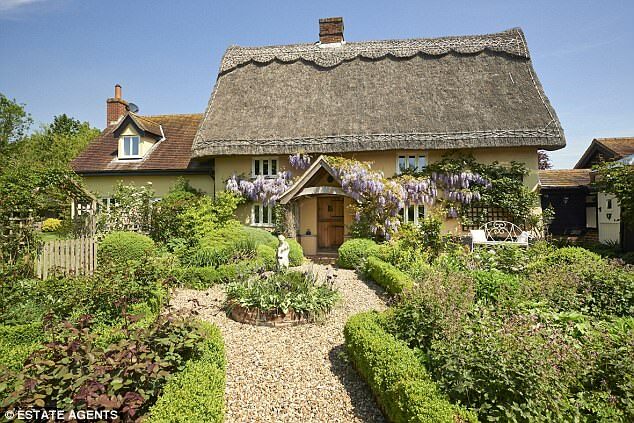 ‘It’s such a lovely homely house to live in,’ says Gill, 64, who is selling the Grade II-listed, six-bedroom cottage for £850,000 with sellmyhome.co.uk. Like most country cottages, Foxgloves has been chopped about a good deal over the years. It was originally three tiny workers’ cottages but these have been knocked through to make a spacious family home. It is worth noting that now the planning authorities are increasingly vigilant, getting permission for a similar project today on a listed building may prove far more tricky. Anne Harley has improved her 18th-century cottage in Pettitts Lane, Dry Drayton, near Cambridge, beyond recognition. ‘When we moved in it was tiny, with just one and a half bedrooms, one room downstairs, a galley kitchen and a small bathroom,’ says Anne, 65. Anne has some sound advice when it comes to negotiating with planners. 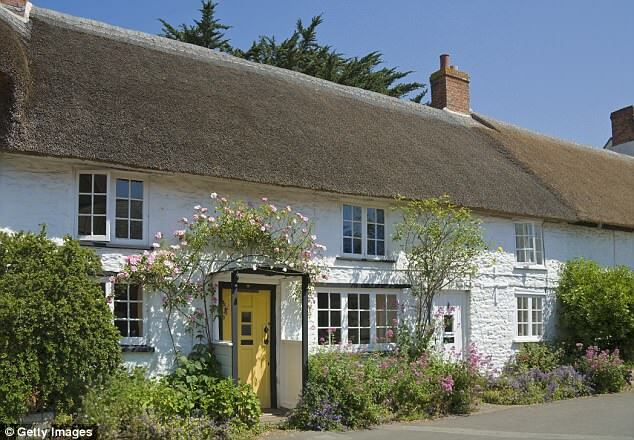 Anne, is selling the cottage for £450,000 (cheffins.co.uk). There is something about a classic cottage which so captivates the imagination that many people have been tempted to create up-to-date replicas. In West Chiltington, Sussex, in the Twenties, a bohemian potter and eccentric, Reginald Fairfax Wells, built 70 cottages exactly as they would have been created in the 1700s. So while most builders of the period constructed homes with slate roofs, light interiors and the latest in bathrooms, Wells built his with thatched roofs and walls of whitewashed slurry. Water came from wells. He even preferred cesspits to modern plumbing! The locals thought him quite mad and when the thatch on some of the hovels caught fire they stood around laughing. Perhaps, however, Wells can be credited with having the last laugh. His cottages, most of which are on generous plots, lend themselves to being updated and now there is a premium to be paid for a Wells Cottage. Estate agents Mansell McTaggart have one for sale with five bedrooms for £1.45million. It even has a heated swimming pool. In the present day, Bewley Homes in Tetbury, Gloucestershire, has made a convincing attempt at building new properties in a Cotswold style — albeit to pacify the planners. ‘We have used local stone and made the angle of the pitch of our roofs match the local vernacular,’ says Stephen Trenwith, the land director with Bewley Homes. 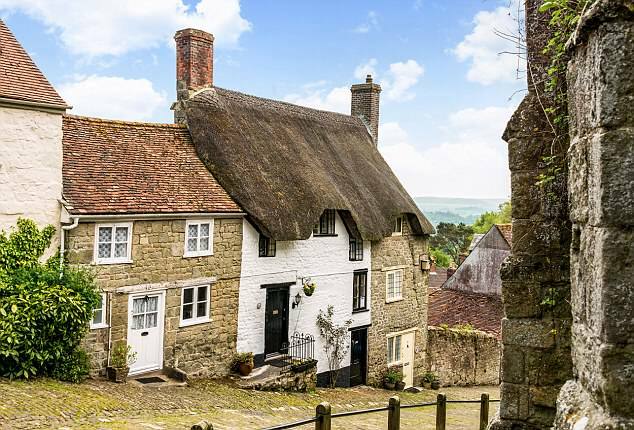 James Greenwood, of Stacks property search warns that the appeal of an attractive country cottage may lead some buyers to overlook practicalities. 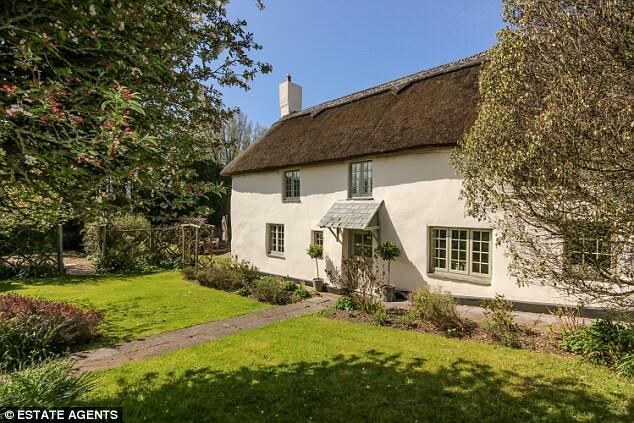 ‘The earliest country cottage was built for a different age, when workers expected less from life, so make sure it isn’t too dark and cramped,’ he says. Greenwood also advises buyers to look into the state of the thatch. Taking into account these drawbacks, does buying a cottage instead of a modern house make sense? ‘You only need to re-thatch every 25 to 30 years, with a general maintenance job every ten years or so,’ says Anne Harley, from Dry Dayton, who is upsizing now that she and her husband, Martin, have retired.